On this page, is a list of product testing companies that hire product testers on behalf of companies that want feedback on their services or products. The products are usually sent over to members on the site and they are asked to test and write reviews on their experience. These companies usually compensate their members through cash or allowing them to keep the products sent to them. 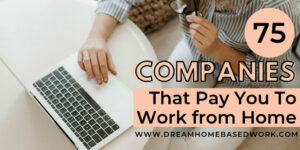 If you enjoy getting new stuff and trying them out before others for good pay, then this is the work at home job for you. Opinion Outpost allows members from the United Kingdom, Canada, and United states to give feedback on various products sent to them to test. 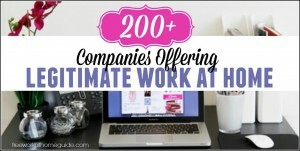 They are considered to be quite reliable and it’s worth trying out their site. MyOpinion Now is known for sending out test products in the household laundry category among others for compensation in cash through check. Interested online users must be thirteen years or older to be accepted as a member of the site. 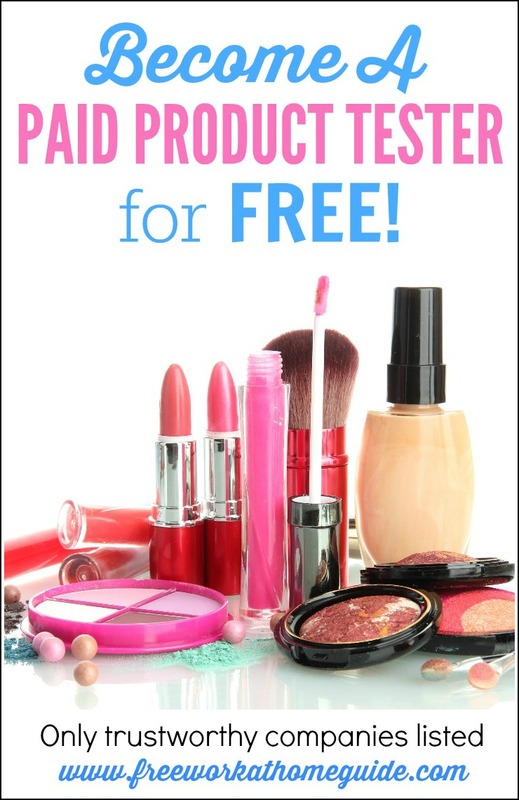 SheSpeaks – This company offers product testing opportunities for those interested in beauty products, cosmetics, shoes, etc. Neilson Homescan provided members with a screener that they use to scan their household purchases. The use of the screener results in rewards in form of prizes that are displayed in their catalog and can include items such as electronics among others. Pinecone Research only gives invited members a chance to test products provided on their site thus making them quite unique among similar websites. They place their members in different categories and sent out products to them as they see fit or as requested for by their clients. MindsPay offer product testing opportunities to their members with payment for the feedback given being done twice a month through PayPal. The product testing campaigns organized by them are quite regular, so be on the lookout. YouGov seeks the opinion of its members on a variety of products and gives this feedback to their partner companies. However, the site does not have many product campaigns as compared to similar sites. Clear Voice Surveys requires members to complete product tests sent to them so that they can be paid for them using gift cards from Amazon or cash. The site allows members that are past their thirteenth birthday to participate in testing out items used in personal care or even food. In Home Product Testing is based in the United States and pays their product testers through gift cards from Amazon or Target. However, their product testing campaigns are quite a few when compared to similar sites. Baker Solutions mainly do product testing for products in the personal care category for both men and women. They compensate online users signed up on their site very well for any feedback provided. Survey Spot USA is known for its numerous opportunities for product testing and the good compensation that goes with it. Majority of the items that they send out for testing are in the food category and they make payments through PayPal. Ipos-I-Say sends product testing items to residents of Canada and America as a way of getting feedback on behalf of clients. The products vary but the most common are a beauty as well as food items that attract proper compensation from the site. ESearch pay very well for your feedback given on their surveys targeting products that they have sent to members to test out. The products that need testing from the site are varied and can be used for personal care or in the home. MyView also offers opportunities for its members to participate in product testing opportunities. Products are sent to members after being notified by e-mail so that they can test them out and give appropriate feedback on the same. J&J Friends & Neighbours is a U.S based panel specifically set up by the Johnson &Johnson Company. Products tested on the site are mainly used for personal care as they are manufacturers of well-known brand names in that area. Payment for participation is done in cash. Bzz Agent select members that will be part of their limited product testing campaigns from the surveys they participate in. 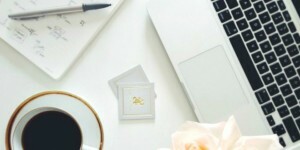 Products are mailed to members for them to review and give their thoughts, which they can also share on social media and friends resulting in invitations to join more campaigns. Global Test Market is known for sending products from well-known brands to their members for testing. They have opened up their membership to everyone over fourteen years old and make payments in cash though PayPal or check. Survey Savvy Panel pays through check to all their members that participate in their product testing campaigns. The products sent out are varied with the feedback given going a long way in helping partner companies improve themselves. My Survey offers product testing opportunities for residents of Australia, United Kingdom, Canada and the United States. Some of the items that can be tested on through the site for good compensation include items used on babies, beauty products, household items and food products as well. Valued Opinions allows members from the US, Canada, Australia and the UK to test products through their site. The products that they offer for testing include those used in the household as well as food items which attract good pay in form of gift cards or even cash. Mindfield Online are known to send their members new products for them to test and provide appropriate feedback. They compensate for the reviews sent in through PayPal or gift cards from Amazon. Only open to residents of Canada and United States. American consumer opinion panel is a favorite of many online users because of the good compensation they give fro product testing. They offer a variety of products for testing that include personal care and child related items among others. My SoapBox USA offers surveys based on product testing to individuals that are thirteen years and above through their site. Members earn points that they can easily exchange for gift cards from Amazon as well as other partner stores.